It's Giveaway Time - Amy Webb's Blogger's Choice! So, y'all ready for another giveaway?! 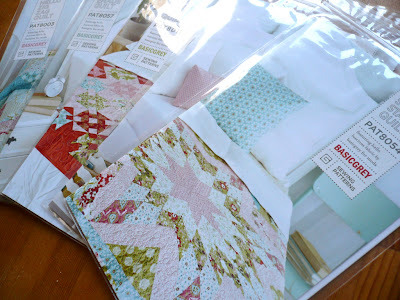 It's that time again - I've got another fabulous bundle from the folks over at Fat Quarter Shop to give away. 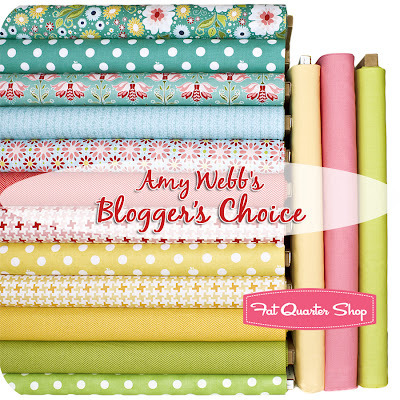 This time around we've teamed up to give away Amy Webb's Blogger's Choice Fat Quarter Bundle - so, so, so pretty! 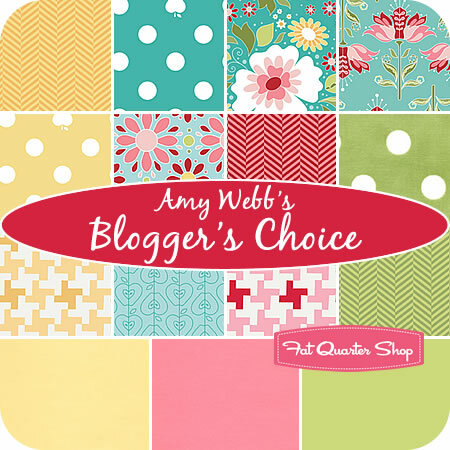 The Blogger's Choice Bundles are exclusive to FQS and include 12 prints and 3 solids chosen by some of your favourite crafty bloggers. This particular bundle was put together by Amy Webb of amylouwho; Amy is a prolific blogger and all around crafty-type person. Isn't it just so pretty? 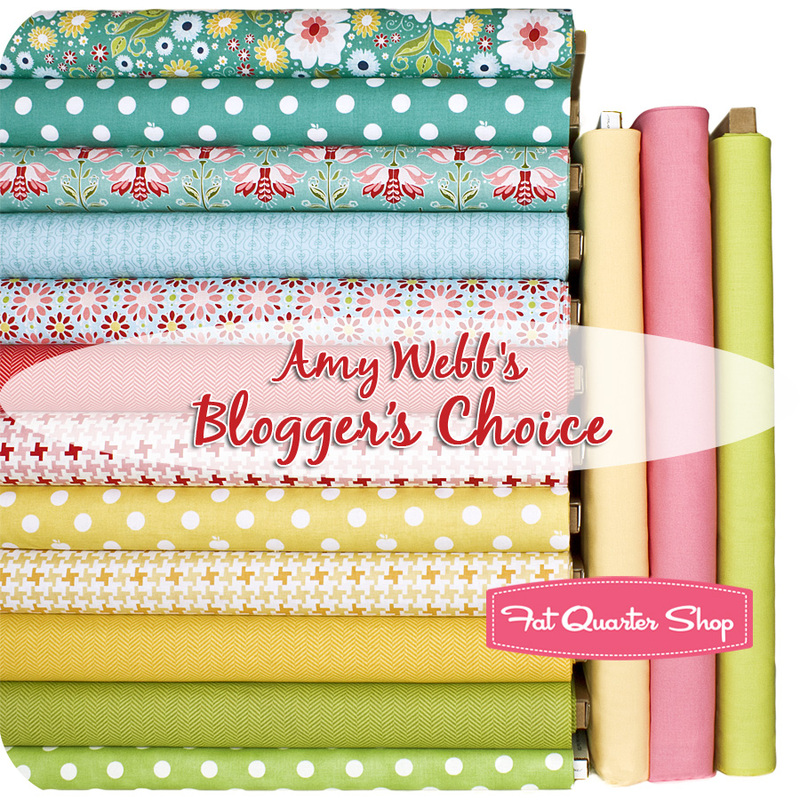 Amy's picks are just perfect for Spring (although it did snow a little bit here this morning - what in the what?!) and I think they would make a wonderful quilt to help usher in this season. 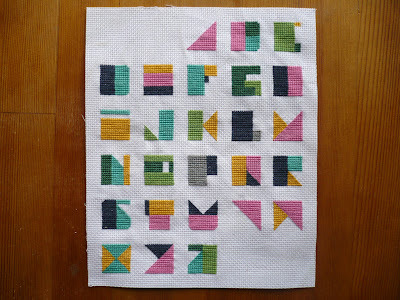 Actually, couldn't you picture these all together making up a beautiful picnic quilt? Oh yes, day dreaming time! That's it! Two easy-peasy ways to enter! I will close the comments in a week (on the May 4th) and announce the winner here on the blog. International entries are, as always, welcome! Also, please remember that I have comment moderation enabled so if you don't see your comment right away it just means that I haven't had the chance to approve it yet (duplicate comments will be deleted). 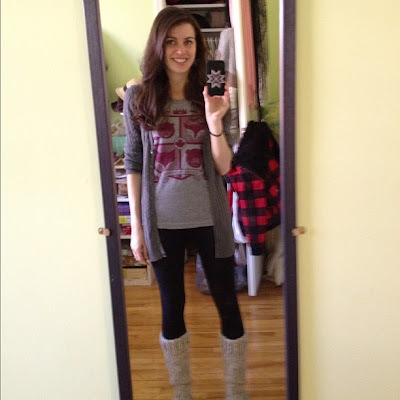 The Week so Far + the Giveaway Winner! So, I know in my last post I said that I would be sharing a completed quilt with you this week...well, that just ain't gonna happen! Over the weekend my sewing machine decided to throw an unexpected tantrum (snapped thread, skipped stitches, etc) and is currently in the shop waiting for the Janome man to fix her. Ho hum. This is the first time in many years that there has not been a sewing machine in my house and it is making me quite sad - on top of that I'm on deadline for some publishing stuff and may just have to hand sew some projects together. 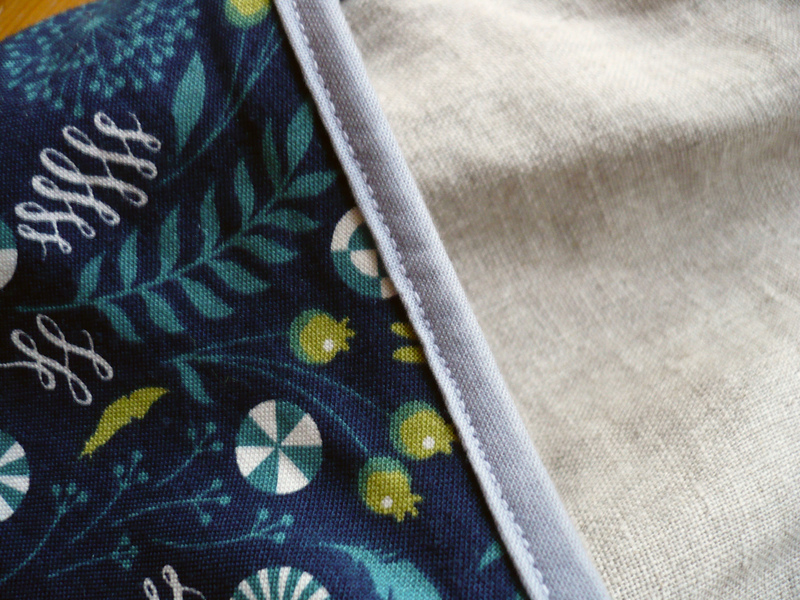 And no, I'm not talking the "fun" kind of hand sewing but the kind that involves straight stitching for ages. Oh well, I've still got a few other projects (knitting and cross stitch) that I can work on while I wait. I did get these fun stickers yesterday though so the week hasn't been a total wash. 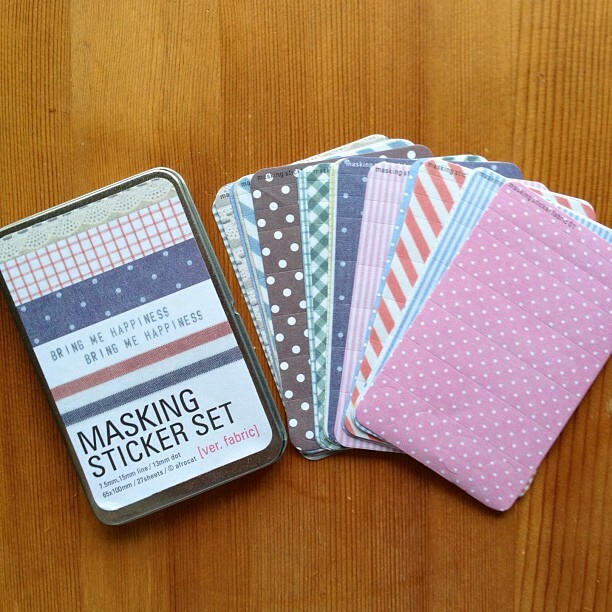 These little guys are really fun - they look like washi but are sticker sheets and come 27 sheets to a tin (you can also get other patterns with or without the in). I do have something really fun to share with y'all but I need to double-check with some peeps and make sure that it's okay for me to let it out of the bag right now! Oh, one thing I can mention though - did you know that Pretty in Patchwork Holidays is now available for pre-order on Amazon?! I know, I am so excited! For those of you who don't remember or weren't hanging around these parts when I first mentioned it - Pretty in Patchwork Holidays is a collaborative work put together by John Q. Adams (none other than Quilt Dad himself) and features new designs by many popular bloggers/crafters including yours truly. I'll talk some more about the book when it comes out in August but you can read a bit more about my project - the Countdown to Christmas Advent Calendar - in this post I wrote when the ebook was released. 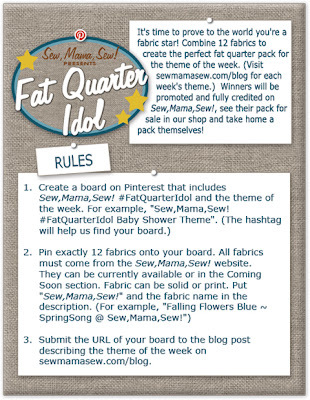 The second round of Sew Mama Sew's Fat Quarter Idol is going on right now - this week's theme is Meet Me at the Picnic! Now doesn't that sound like fun? If you're interested in participating head on over to this post at Sew Mama Sew for all the details and if you want to know some of the criteria that I'm using for my portion of the judging you can read about it here. And yes, I do know who won the first round, but no, I'm not going to tell you. All will be revealed over at SMS on Friday! Congratulations Charlotte! Please send me an email with your mailing address and I will get your patterns out to you - and thanks so much to everyone who entered! 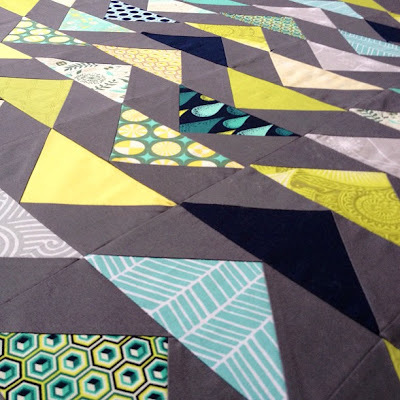 Right now I'm in the middle of completing a new quilt so I thought I'd share a few progress pics from along the way - the finished quilt will more than likely make it's debut here on the blog on either Monday or Tuesday, woot! I started pulling fabrics from my stash last week and this is what all came out originally. I based my colour choices off of the greens and blues (with some grey thrown in) in Tula Pink's Prince Charming collection but didn't want to stick with just one fabric collection and pulled from some others too. Kona Coal was my solid of choice - frankly it usually is, just love it! And now a finished quilt sandwich reposes on the floor waiting for a quilting design to be drawn and basting to ensue! Seriously loving the colours in this one guys...I might marry it...I don't think Alex will have a problem with that. 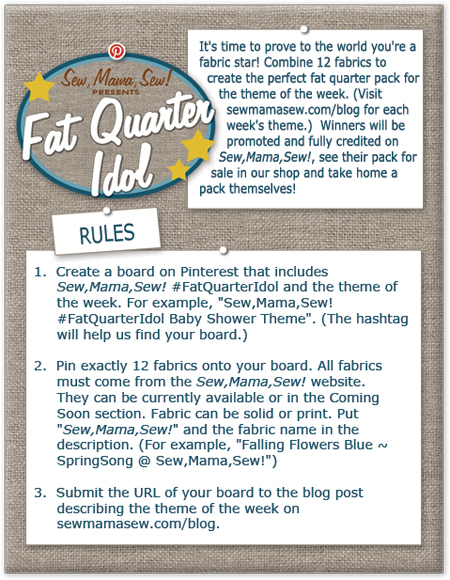 Fat Quarter Idol + a Giveaway!! Hey everyone! What's up? So I have two very fun things for you guys today - one is a great "contest" that you can participate in and have the chance to win something that is really you (emphasis on the "you" - I'll expand on that in a moment) and the other is a giveaway right here on this little ole blog. First up: Do you think you have what it takes to be the next (er, first) Fat Quarter Idol?! Oh, this is going to be tons of fun guys!! 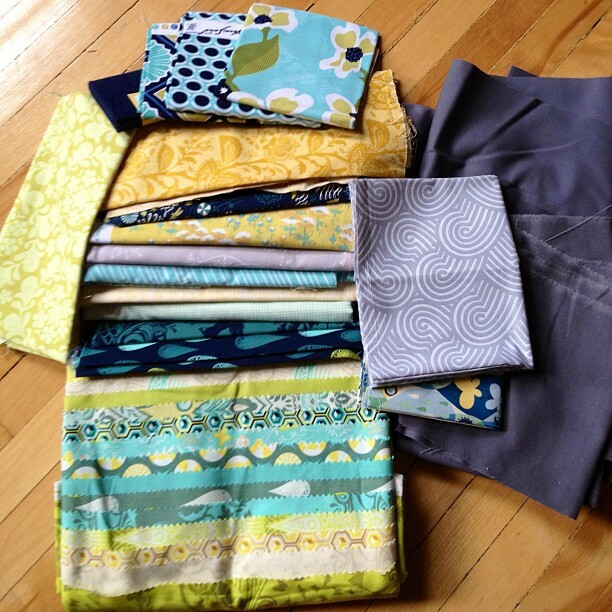 Here's the gist of it: each week for the next four weeks you will be given a theme, you then select 12 fabrics that evoke that theme for you from Sew, Mama, Sew's shop, pin them to a special board on Pinterest, and you'll have the chance to win that bundle chosen specifically by YOU (remember emphasis on the you)! Now doesn't that sound fun? Here's the short version of the rules and what you need to do; the full details as well as the place where you sub,it the link to your special board can be found over here on the Sew, Mama, Sew blog. So why, you might ask, am I so excited about this? Well, because the super-fabulous Heather and I are the judges! Here's how it will go down: each week Heather, the Sew Mama Sew team, and I will narrow the field down to 10 semi-finalists, the winner will then be chosen by public vote. So what will I be looking for when I judge the boards? Well, I'll be looking for interesting colour combinations, selections that aren't all from the same collection (or designer, or company), boards that evoke the theme in interesting ways, and above all I'll just be looking for that unique quality (I know, not overly specific but it's hard to put it into words)! I really can't wait to see your boards guys! And now onto the giveaway!!! Ohhhh, pretty! 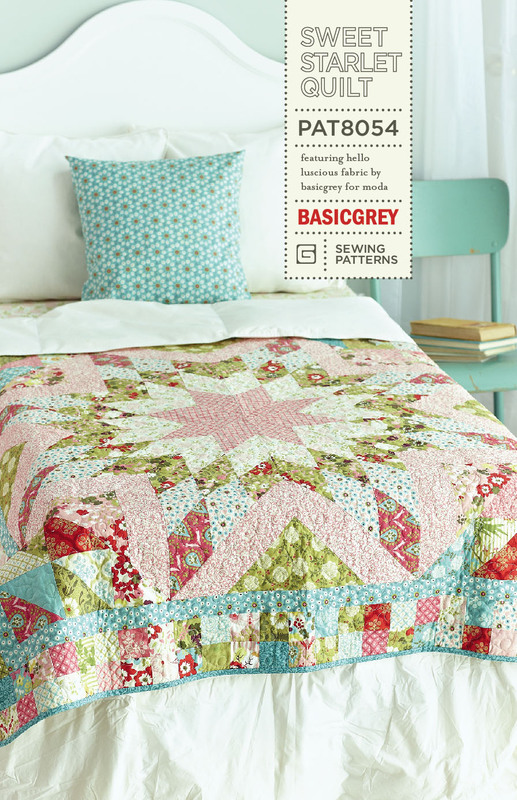 These five patterns (as well as a free download for the pillow featured on the Promenade cover) are all available in the Basic Grey shop, as well as several online retailers, and I'm sure you can also find them in local quilt shops near you... but you'd rather win them right?! 1. 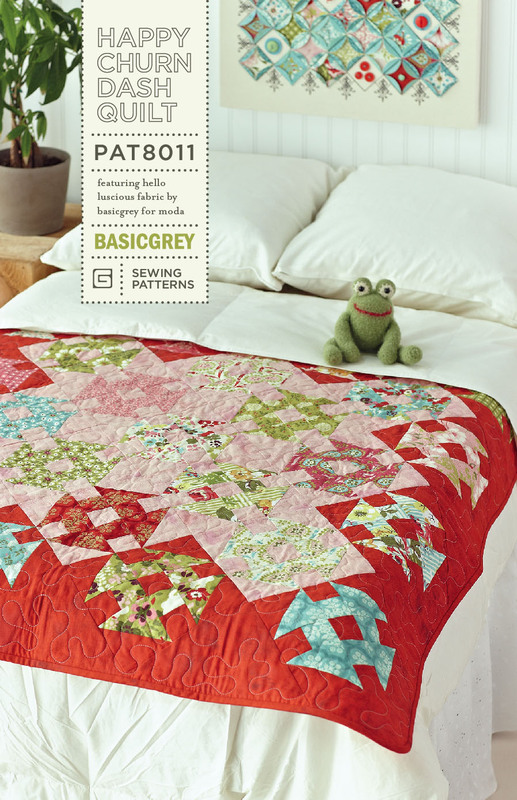 Leave a comment letting my know which of these five patterns is your favourite. That's it! Two easy-peasy ways to enter! 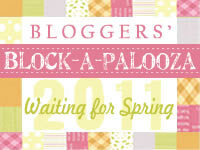 I will close the comments in a week (on April 23rd) and announce the winner here on the blog. International entries are, as always, welcome! Also, please remember that I have comment moderation enabled so if you don't see your comment right away it just means that I haven't had the chance to approve it yet (duplicate comments will be deleted). For the Love of Tula...Pink that is! Happy Easter and Happy Passover to y'all! The past week has been a whirl of organizing, paperwork filing, and just general busyness; I feel like haven't really accomplished much, even though I did do a number of things that were on my to-do list (that I would have rather just put off) and I made a new quilt top (yippee!). Alex and I also went and saw The Hunger Games (which I thought was fab!) so I guess there were a few things! Now y'all know how much I love Tula Pink, right?! 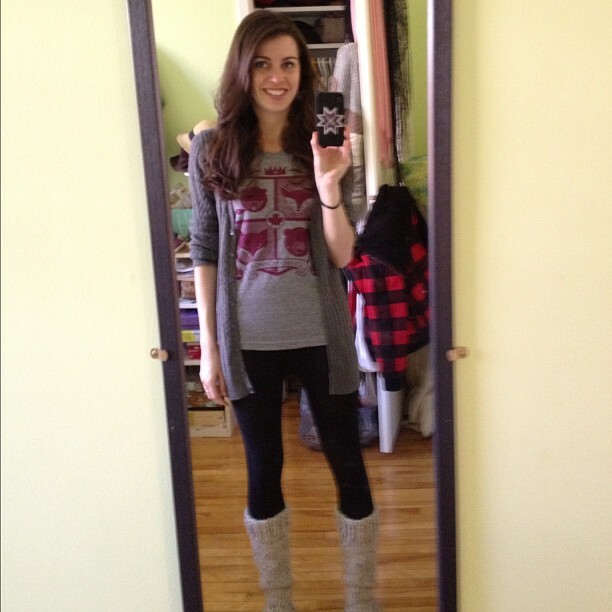 That girl is awesome - so friendly, so warm and genuine, and of course super-crazy talented (I mean seriously)! When I first met Tula I must say that I was a little bit intimidated and in awe, but she made me comfortable fairly quickly with her big personality and sharp sense of humour, and with her willingness to work and play with everyone. Her mum (who owns The Quilt Shoppe in Stewartsville, MO) is also awesome. I have made a fair number of items using Tula's fabrics (some of which still haven't made it, and won't for a bit, to the blog) and many of those items have been my favourites including the Get Stacked quilt. I have two things I want to share with you today, neither is a quilt and one was actually a gift for the lovely lady herself. 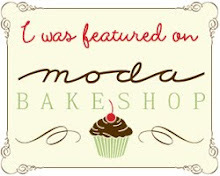 You may have seen this particular item on Miss Tula's blog just a few weeks ago. After hanging with Tula at Quilt Market last May I knew immediately that I needed to make her a little giftie to thank her for being not only just an all round super-cool chick but also to let her know how much I appreciated her kindness and friendship. Unfortunately, it did take me longer to complete and then mail out than I originally intended so it only arrived at it's destination back in February. 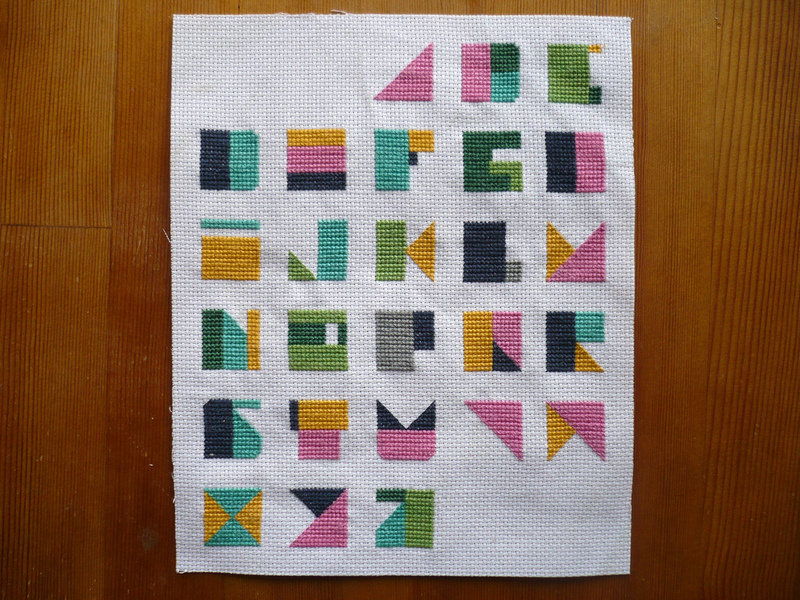 I based the cross stitch on Tula's Modern Alphabet quilt pattern; each letter is 1x1" and the whole thing took one to two weeks to complete (I think - Alex was away at the time so it is entirely possible that all I did was cross stitch the whole time he was gone). I have been told that this little guy is getting framed and put up on the wall in Tula's studio - now isn't that nice?! 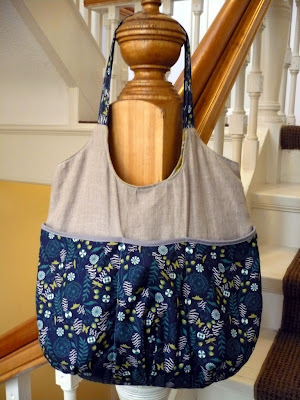 The second item I made that has a connection to Tula is Anna Graham's Go Anywhere Bag! This pattern rocks and this particular bag was actually my second time making it (the first one was a gift and hasn't made it to recipient yet, but will be blogged once it has). The Tula connection comes from the print on the outside pockets and handles which is Dandelion in Indigo from Tula's Prince Charming collection (the other exterior fabric is 100% natural linen). This bag was already in heavy-use (read: everyday) for about a month before this picture was taken so it's not quite as fresh as it could be. 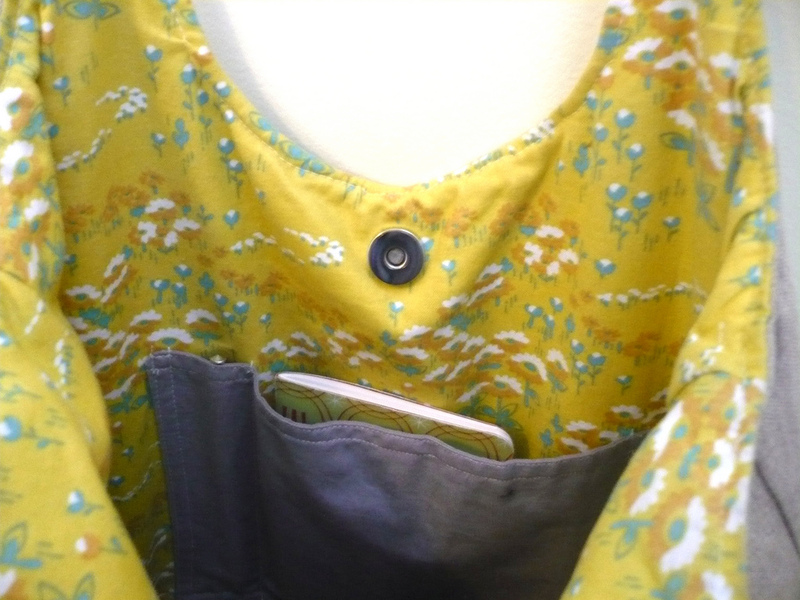 The main interior fabric is Flower Fields in Sunglow from Joel Dewberry's Modern Meadow, and the pockets (there are two since I added one - the one on the other side of the interior is split evenly in two) as well as the outer pocket linings are Kona Medium Grey. I didn't have any piping on hand, or supplies to make any, but I really liked the look of the purse's in Anna's pattern that featured piping, so instead I decided to bind the edge of the both of the outer pockets (you can't see it in these pictures but there is also a large pocket on the backside of the bag). I believe that my original binding strips were cut to 1.25" wide, then I ironed to create double fold binding, and just top stitched the binding to the bag. 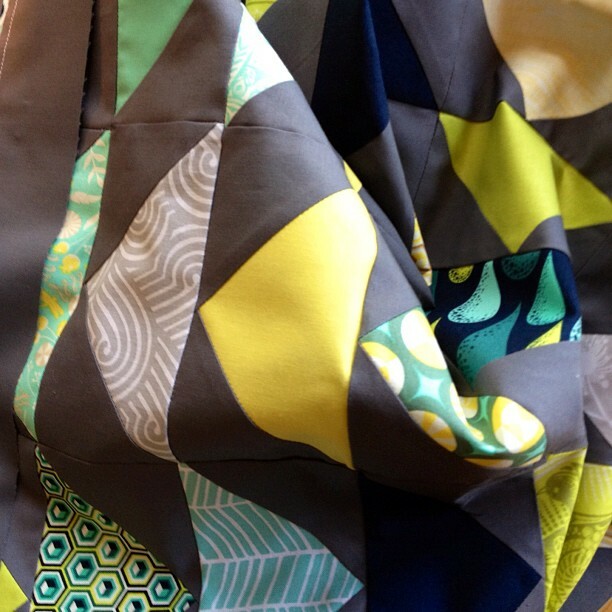 Can I just say again how much I love this Tula print?! I almost had a little heart attack when I went to use it for this bag because this is all I had so now it's all gone - I know that some retailers still carry it but since I have been unemployed for a week now I probably shouldn't be buying any fabric, right?! Love it though! Hey all! How's it going?! I am on day two of being unemployed and while I'm enjoying the little bit of free time, it does feel incredibly odd to be home during the week. I am trying to keep myself busy by applying to jobs, cleaning and organizing, getting myself sorted out to do some serious sewing, and writing up some new patterns - eeek! 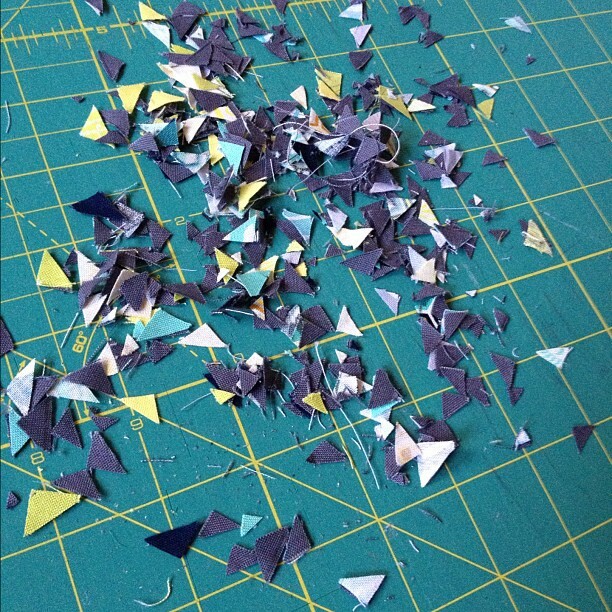 I have actually had a few items done for awhile that I wanted to write patterns for but just hadn't had the chance to do it, but now that I have the time I'm hoping to get everything hammered out soonlishly. When I first got my iPhone I knew immediately that it was going to need some sort of crafty case. 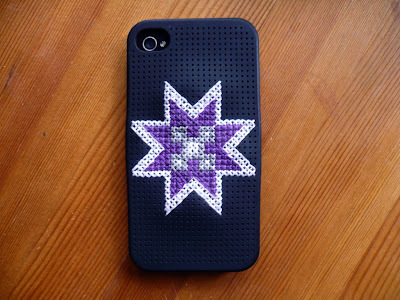 I started seeing perforated cross stitch cases popping and knew that was the way to go for me! There are many different brands and types of these cases on the market, and as such they all have different stitch counts - my case is about 22 stitches (or little x's) wide by about 41 stitches high, minus the opening for the camera and the rounded edges. This little star design is based on a traditional Norwegian weaving motif that can be found on tapestry's and blankets (edited a little though as the traditional motif has a few more elements thrown in). I had originally intended to continue around the star in alternating colour bands, varying the width as I went along, and filling the entire back, but I had to stop at this point one day and I actually kind of like how it looks with the contrasting black. I may continue with the bands though now - you can be the judge for yourself though. The design above (which is included with the free pattern) shows all of the bands covering the back so that it can be stitched up just as I originally envisioned or one could simply stop at any point along the way with as many bands as they'd like. 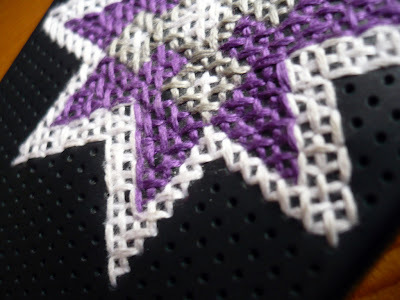 Since, as I mentioned above, the stitch counts change depending on which case you purchase, you may need to to lengthen or shorten some bands if using this pattern - really the idea is just to start at the middle and keep going around and around and around until you're satisfied. I think that this cross stitch pattern would also look stupendous on items other than an iPhone case too! 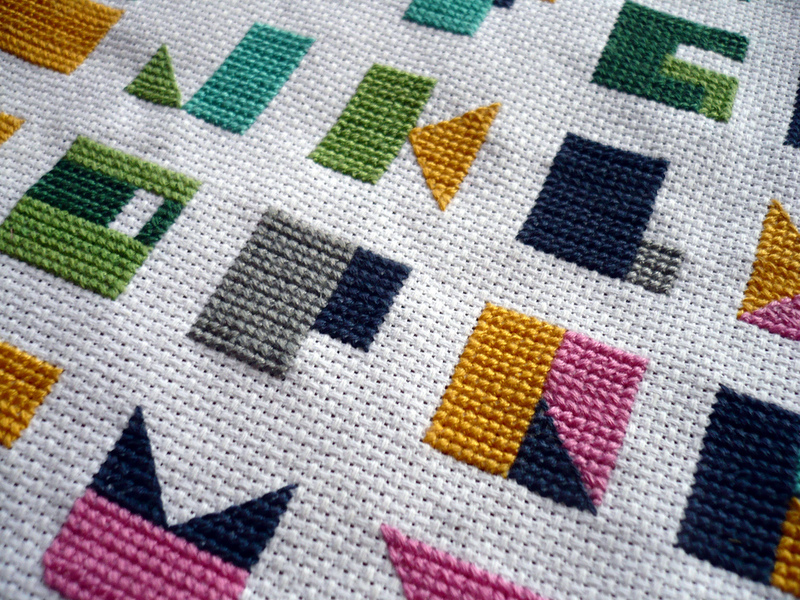 The free pattern includes the colour stitch image shown above, a symbol chart, and colour key in one PDF. Please note that although the chart and colour key will denote the use of black floss, this is not necessary. I simply used the black stitches to indicate the presence of the camera hole and rounded edges of the case. Just click on the link below and away you go (and remember to upload your finished products to the Flickr group)! 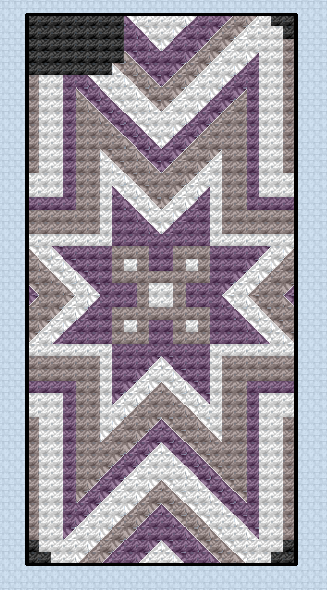 Download the Norwegian Star Cross Stitch Pattern Here!